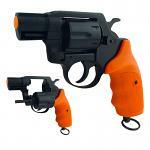 Holster: Durable, comfortable & secure. Fits all starting pistols that use blanks, caps or primers. 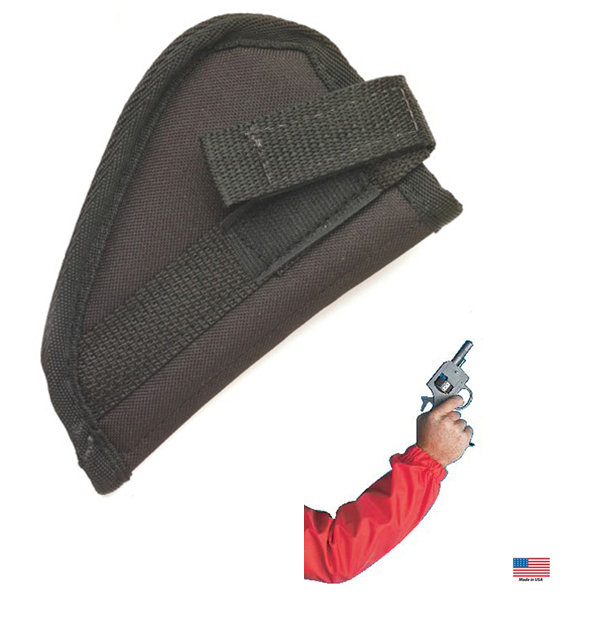 Velcro® safety strap firmly holds pistol in place, yet permits easy removal. Starters Sleeve: Made of water resistant neon-orange nylon. Elastic at both ends. CHOOSE EITHER FROM TH E SELECTION LIST AND ADD TO CART. Good, inexpensive starters pistol holster. We have a.32 H&L and it fits just fine.